Local nonprofit High County Conservation Advocates has sued the Trump administration and has asked for a temporary restraining order against several government agencies to stop road building and the expansion of mining in the West Elk Wilderness by national coal mining giant Arch Coal. According to HCCA public lands director Matt Reed, the move comes after a series of decisions that will open the Sunset Roadless Area, a 5,800-acre forested landscape in northwestern Gunnison County to road building and coal mining. Reed said the December 11 decision was followed four days later by a ruling from the U.S. Department of the Interior approving the lease modification which, in turn, will allow for the development to take place on both the Forest Service land and on land controlled by the DOI through the Bureau of Land Management. Arch Coal began to explore expanding mine operations in the Sunset Roadless Area in 2009 and in 2012, the Forest Service and BLM approved an expansion that would have led to the construction of more than six miles of roads and nearly 50 drilling pads within a 1,700-acre area at the heart of the Sunset Roadless Area. The expansion was stopped by a court ruling—in which HCCA was a plaintiff—that said the move violated the National Environmental Policy Act by ignoring the environmental impacts of coal mining and methane release. Reed said this latest decision by the federal government and its agencies continues to disregard the environmental impact of building roads and mining in the Sunset Wilderness Area. For Reed, this is clear justification to oppose the expansion. “The foundation and future of our West Slope economy are healthy public lands. 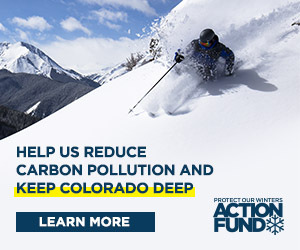 Bulldozing roadless forests to access fossil fuels while releasing staggering amounts of methane, all while benefiting from a royalty rate reduction, directly undermines public lands and forest health,” Reed said.